Dylan’s an overworked investment banker. Paige is a free-spirited first-grade teacher. From the first time they meet, these two opposites attract. Meanwhile, the cabin Paige is renting has gone up for sale. She loves living there, and she just might be able to buy it?if she finally achieves her dream of selling her children’s stories. 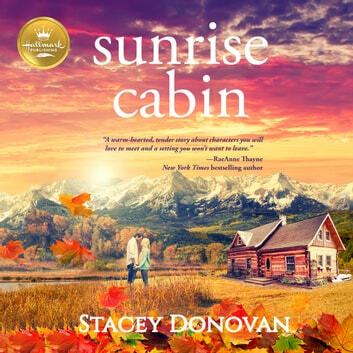 When she learns Dylan is also determined to buy the cabin, their new romance turns into a real estate rivalry. Dylan could explain his own connection to the place…but that would mean opening up about his past. As his relationship with Paige goes from funny to touching, they both learn more about love and the true meaning of home. This feel-good romance contains a free Hallmark original recipe for Maple Pecan Streusel Muffins with Cider Glaze.